Dart League Now Forming. 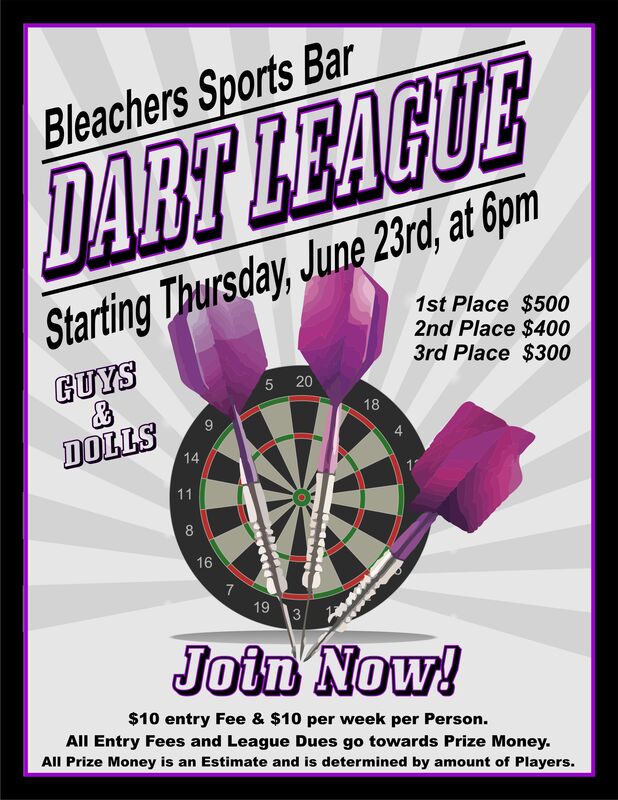 Guys and Dolls League starts Thursday, June 23rd at 6pm. Sign up Now! !